Nobody knows what the future will bring. There was once a time when motion pictures and heavier-than-air flight were in the realm of pure fantasy. The internet took everyone mostly by surprise and nobody but The Simpsons' writers could have guessed that Donald Trump would eventually be a Presidential front-runner. 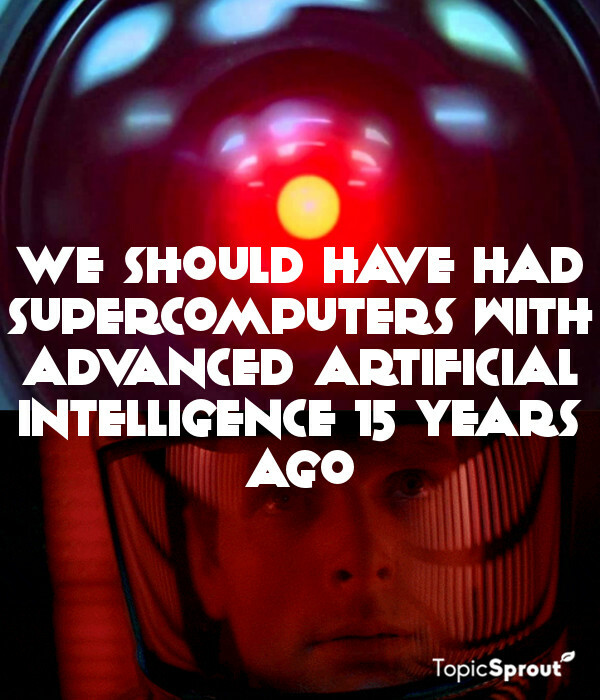 Speculative fiction stories often have to make broad guesses at what the future will be like. Sometimes, they're spookily accurate. Other times, they're widely off the mark. Here are 11 times that the filmmakers got it wrong and ended up creating movies that lied about the future. 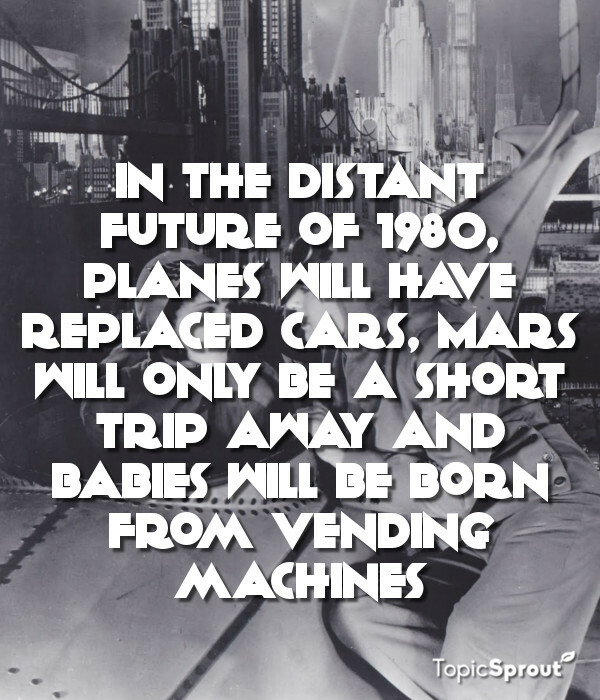 It's the distant future of 1980 and names have been replaced by numbers. J-21 wants to marry the beautiful LN-18, but the marriage tribunal has refused to allow it. After meeting a man resurrected from the 1930s, as well as Queen Looloo and King Loko of Mars, the pair are eventually allowed to marry. 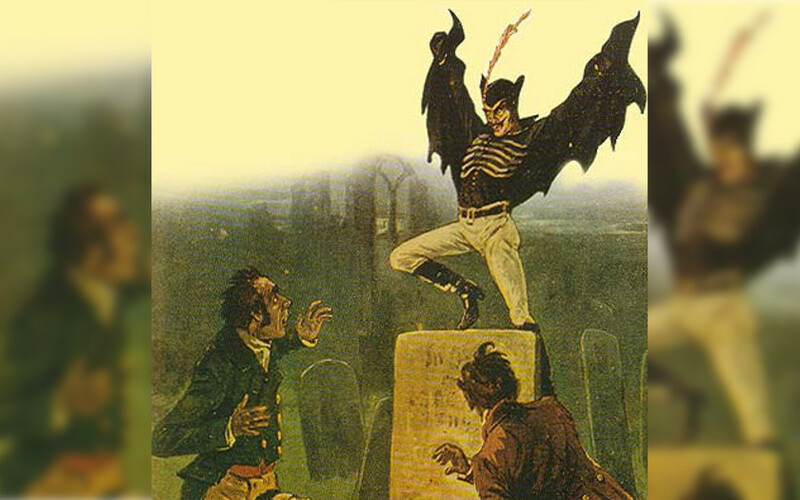 The film is in the public domain, so you can watch it in its entirety just here. At some point in the near future, an advanced artificial intelligence known as Skynet becomes self aware and launches a nuclear attack against humanity, which it has deemed to be a threat to its own survival. In the aftermath of Judgement Day, Skynet builds multiple Terminators and sends them back in time in an effort to weaken the resistance movement that fights for what's left of humanity. 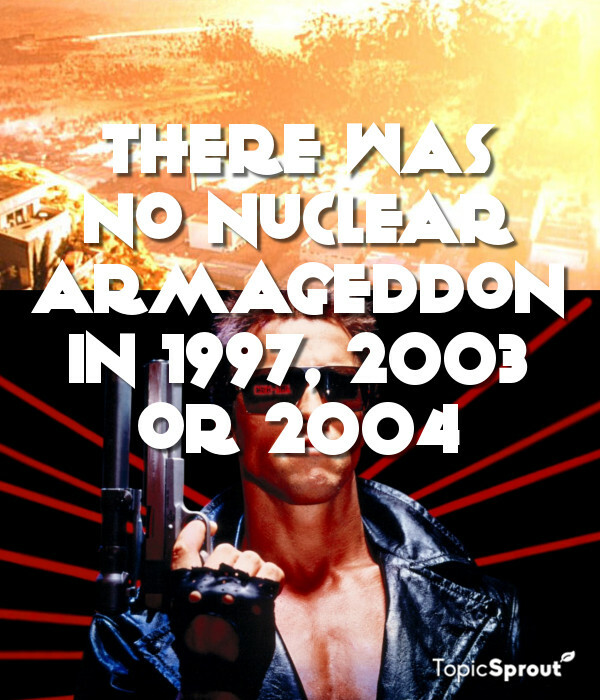 Meddling with the time line results in the date of the nuclear holocaust shifting from its original year of 1997. An enormous solar flare wreaks havoc on Earth, bringing about apocalyptic conditions. In an effort to prevent the extinction of humanity, the world's nine leading nations have built huge arks where only the planet's richest individuals can afford a place. 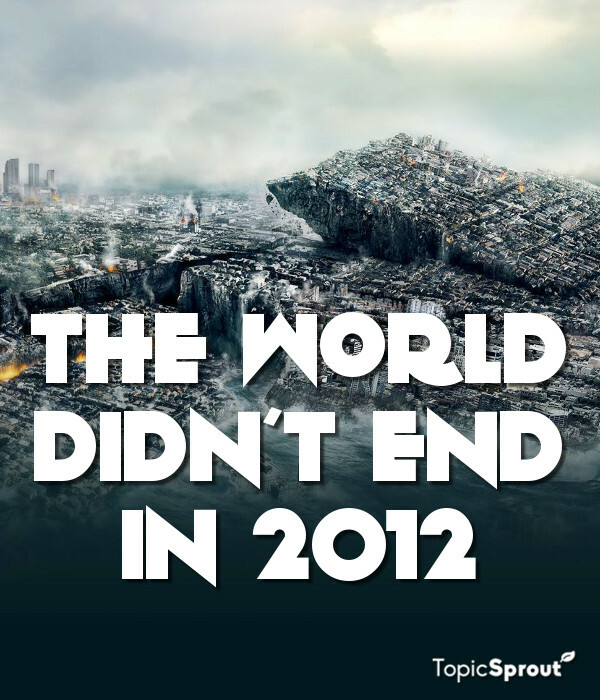 Needless to say, the Mayan prophecy proved itself to be false. It's 1997 and aliens have been living secretly on Earth for decades. NYPD officer, James, finds himself wrapped up in the world of the Men in Black when he pursues what turns out to be an extraterrestrial perpetrator. 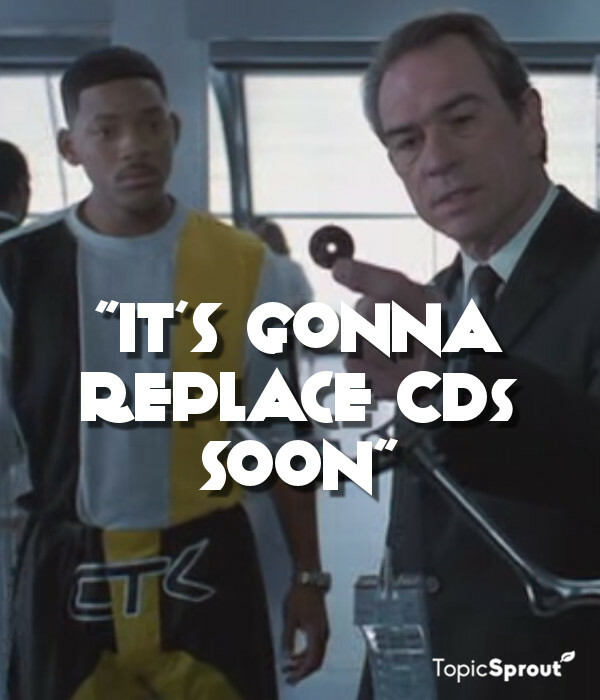 While giving James a tour of MIB HQ, Agent K picks up a mini-disc and comments to the soon-to-be Agent J that they're "gonna replace CDs soon". In all fairness, mini-discs where around for a little while. However, they never really replaced CDs as the dominant storage medium, being beat to the punch by MP3s and digital downloads. The crew of a 1970 mission to the Moon are forced to make an emergency landing on the lunar surface when it is discovered that there is a saboteur in their midst. It is decided that their marooned spaceship will become the core of a new moon base. 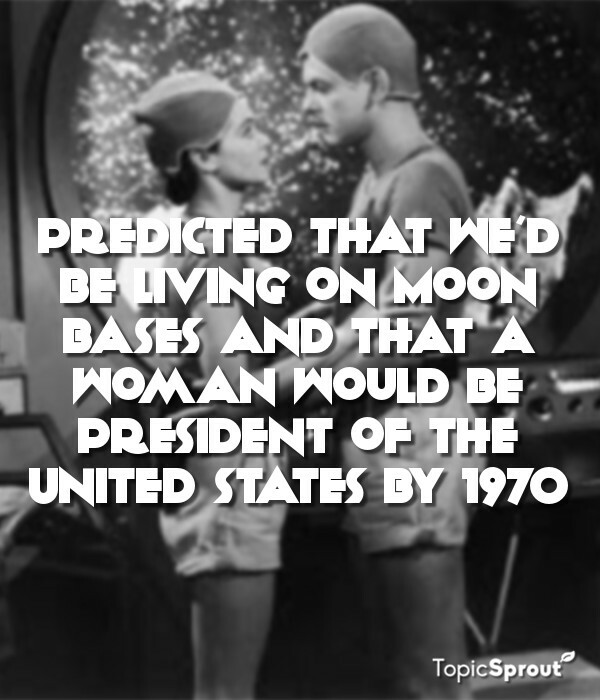 Project Moonbase is notable for being the first film to portray a woman in the role of President of the United States. It is the year 2005 and Cybertron has been conquered by the Decepticons. 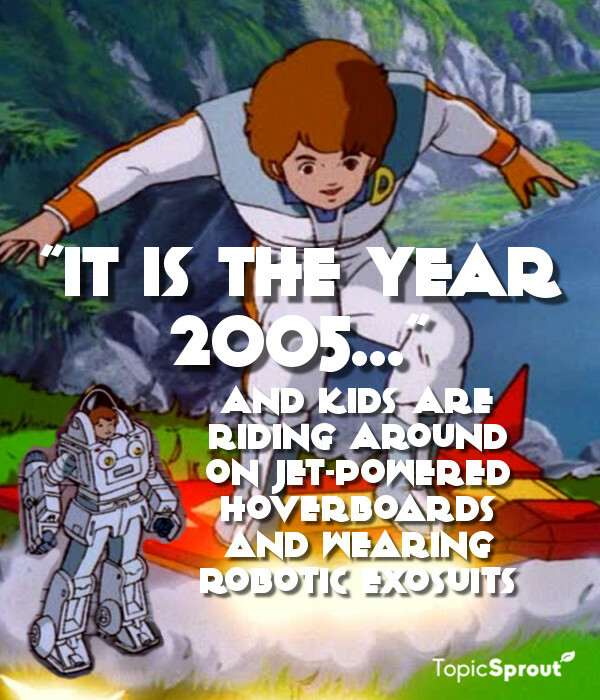 Meanwhile, back on Earth, Daniel Witwicky is riding around on a jet-powered hoverboard and running around in a robotic exosuit. The US President's plane, Air Force One, crash lands in the middle of Manhatten Island in 1997. 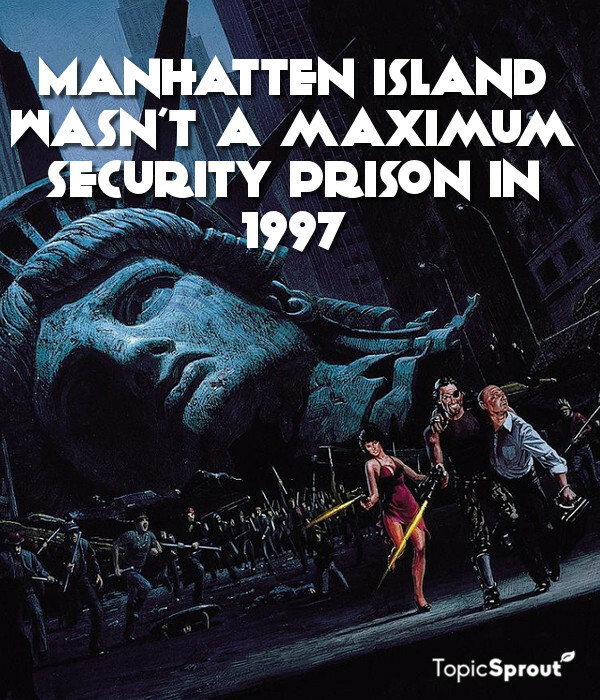 To make matters worse, the island was converted into a maximum security prison in 1988. It's now up to former Special Forces soldier and current inmate, Snake, to rescue the President and get him to safety on the promise of a presidential pardon. First activated in 1992, the HAL 9000 supercomputer is responsible for maintaining the Discovery One spacecraft during a manned mission to Jupiter in the year 2001. Unfortunately for the crew on board, HAL has trouble reconciling two of his directives and goes on a murderous rampage as a result. Maybe it's a good thing that we're behind on this one. 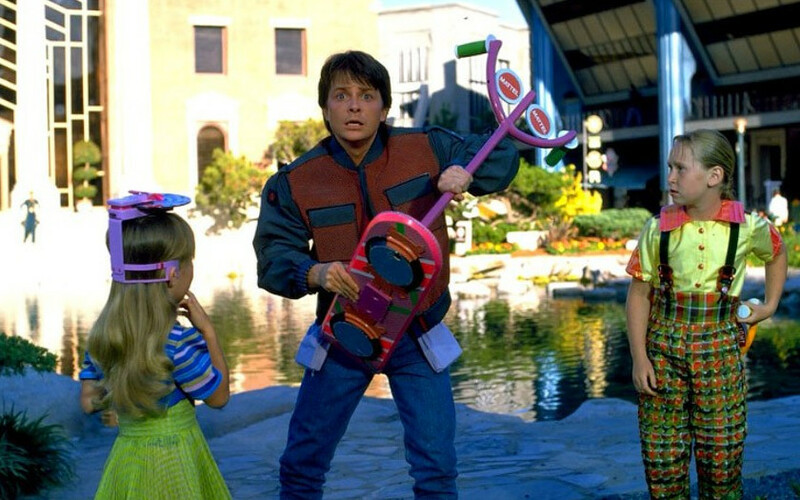 Time travel was possible as early as 1994, but it was unfortunately used by unscrupulous individuals. 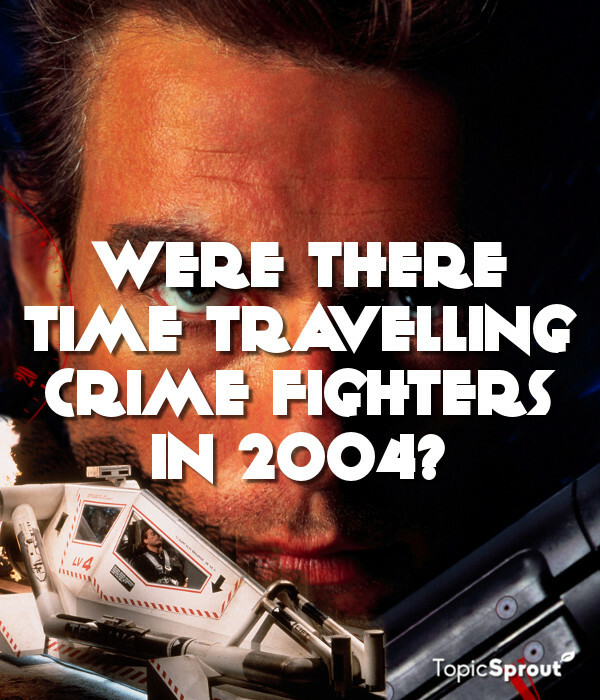 Jean-Claude Van Damme is an officer of the Time Enforcement Commission (TEC) in the year 2004. With the help of TEC rookie, Sarah Fielding, he must travel through time to foil the plans of corrupt senator, Aaron McComb, before he becomes President of the United States. You're no doubt familiar with some of the themes presented in George Orwell's Nineteen-Eighty-Four. You might think that some of Orwell's predictions have shown themselves to be eerily accurate, but he didn't get everything right. 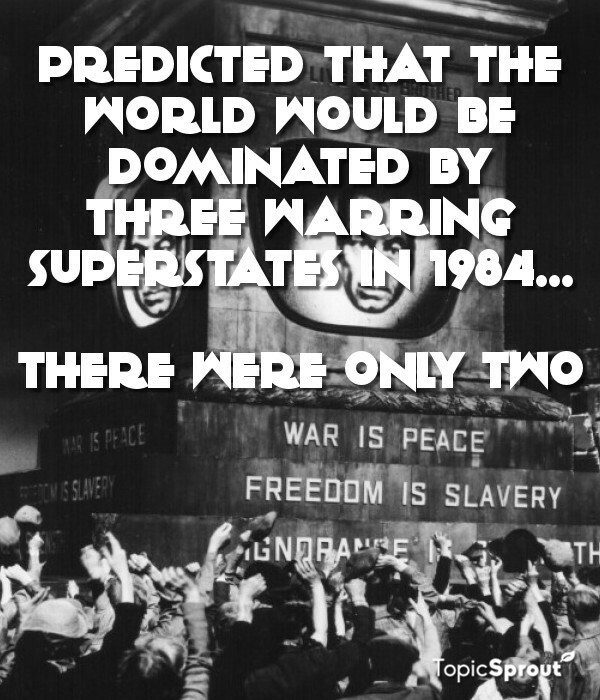 In Orwell's version of 1984, the world is dominated by three superstates - Oceania, Eurasia and Eastasia. These totalitarian nations are perpetually at war and exert strict control over their populations. 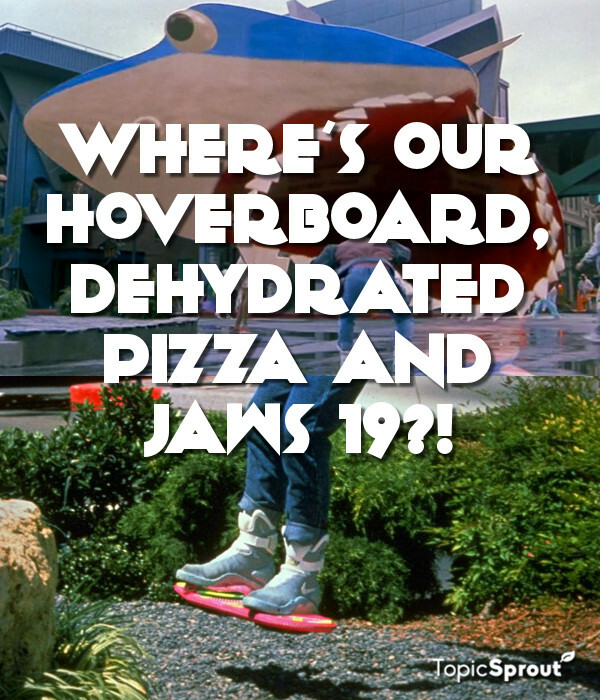 It's 2015 and the cool kids are hanging out in 80's themes cafes and riding bright pink hover boards (actual hover boards, not these abominations) while wearing self-lacing trainers. Jaws 19 is out and has the kind of amazing graphics that would give the Nintendo 64 a run for its money. The internet and email do not exist, but it doesn't matter because there's a fax machine in every room. Oh, and you can forget about slaving over a hot stove. You can just pop condensed, dehydrated food into your Black and Decker rehydrator and, within a few seconds, dinner's on the table.